The Feltre School was founded in 1992 by a group of Northwestern University Alumni to preserve and promote the traditional Liberal Arts. We provide a thoughtful place for adults who wish to learn by engaging in a rigorous discussion of ideas with other inquisitive people. 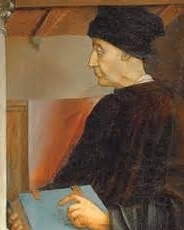 The Feltre School is a private, secular, nonprofit and independent school, and takes its name and inspiration from the Italian Renaissance scholar and teacher, Vittorino da Feltre. Through discussion of readings by the great writers and thinkers from the classical past into the present, students consider the fundamental questions that confront us as human beings. Faculty led discussions encourage a lively and civilized debate of ideas, leading to a student’s ability to read, reason, and think more effectively to the end of deeper personal insight and more thoughtful civic engagement. In addition to reading and discussion courses, Feltre offers a number of classes in the traditional Liberal Arts of Grammar, Logic, and Rhetoric, as well as one-on-one instruction, and onsite courses in writing. These courses are open to anyone wishing to write more precisely, think more critically, and persuade more effectively. The Feltre School is open to adult students at all levels who wish to enrich their lives, to advance in their professions, and to participate more fully in their communities. © 2004 The Feltre School. All Rights Reserved.